To be a good counterperson, you need to be quick, efficient, friendly, able to find the part the customer wants and develop relationships. To be the Counterperson of the Year, you need to go a step further. Actually, a few steps. 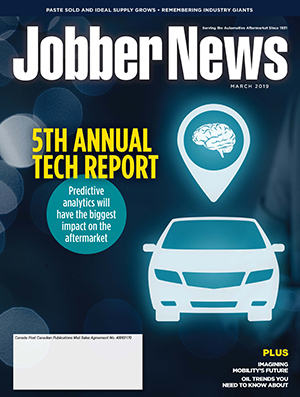 Cathleen Wachs has been picked as the 2018 Counterperson of the Year by Jobber News for her tireless work ethic, skill of building “unbreakable” relationships and going above and beyond for her customers – just to name a few. 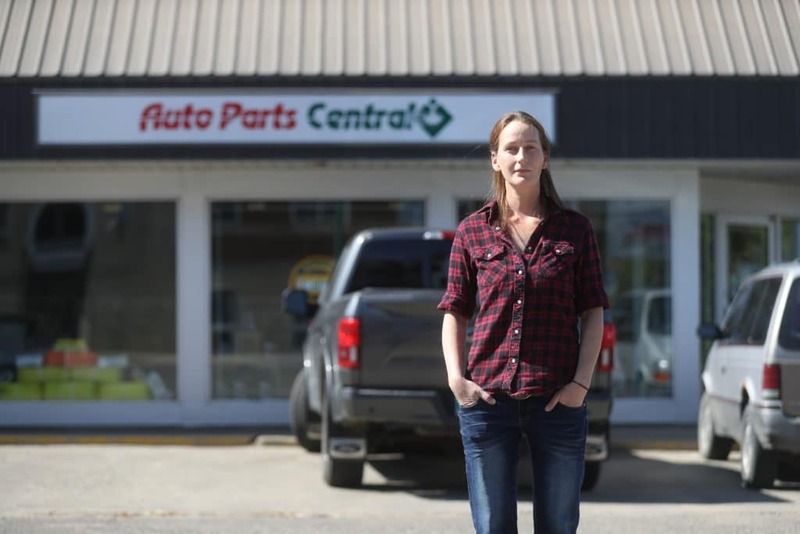 “She’s consistently unreal,” said Doug McCallum, owner of McCallum Service in Oak River, Man., about 50 minutes outside of Brandon. Wachs is modest in her approach to her job, where she’s spent the last seven years. “We don’t necessarily ask for her. 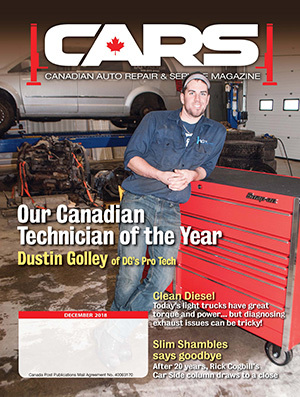 But when we get her, we feel lucky that we get to speak with her,” said Brayden Davis, manager of Kal Tire in Brandon. 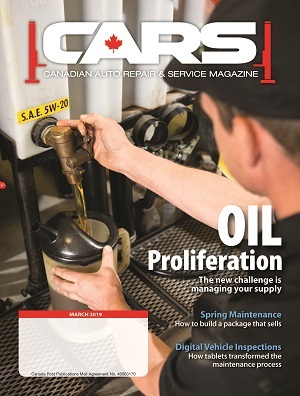 2018 Counterperson of the Year Cathleen Wachs in the warehouse of Auto Parts Central in Brandon, Man. Lepage noted how he’s never seen anyone like her in his career. “In 20-some years, she stands out to me as a top counterperson who has built relationships that are seemingly unbreakable. She has certainly helped grow our sales,” he said. It’s really a simple formula to Wachs: See customer, help customer. “Sometimes they come in with a small fitting and they’re like, ‘Do you have this? I need this. It’s the only thing holding up my project.’ So I say, ‘Let me go take a look and see what I can find.’ I find them the part and they’re super happy,” she said. If the hours are moving along slowly, you probably won’t find her behind the counter. That’s because she’s looking for something else to do to help the business. Wachs isn’t one of those people to just stand around. Earlier this year, Wachs led the charge to replace all of the store’s wood shelving in the warehouse – 200 feet of shelves was converted over to metal. The task meant giving up nights and weekends to get the job done. 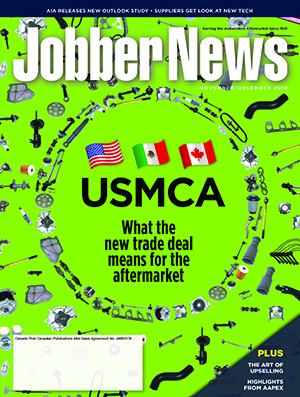 Read the full feature in the October issue of Jobber News.